Develop and maintain positive member and staff relationships. Provide transactional service to members. - Greet all members within 10 seconds & 10 feet pleasantly. - Use the member’s name at least twice during the transaction. - Accept and process deposits, withdrawals and payments according to SAFE’s policies and procedures. - Process over the counter requests for cashier checks, Visa cash advances, gift cards, postage stamps, temporary checks and.Visa debit cards. Thank members for their business and use SAFE CU in the closing statement. Maintain individual cash drawer with appropriate drawer limits and balance drawer at the end of shift or as instructed by Management. - Develop personal sales/referral skills. - Achieve monthly personal sales/referral goals. - Initiate a sales activity with every member interaction. - Assist in achievement of branch sales goals. - Generate referrals/leads to the platform, Branch Business Specialist and/or LBE, Real Estate Mortgage Officer, SAFE Financial Services and SAFE’s Business Development Officer. . Assist in the branch’s daily opening and closing activities. Assist in the balancing and auditing of all negotiable and dual custody facilities. Maintain accurate and complete records of member transactions. Participate in personal self-development training through the completion of internal and external training programs. To perform this job successfully, an individual must be able to perform each essential duty accurately, efficiently and satisfactorily. The requirements listed below are representative of the knowledge, skill, and/or ability required. Reasonable accommodations may be made to enable individuals with disabilities to perform the essential functions. High school diploma or general education degree (GED); and one year related experience in customer service and/or cash handling or equivalent combination of education and experience. 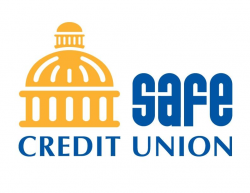 SAFE Credit Union, an Equal Opportunity Employer, has been serving those who live and work in Greater Sacramento for more than 70 years. At SAFE, we're always exceptional professionals who take joy in the privilege and responsibility of improving the financial well-being of individuals and businesses in our community. If you would like to share your skills and talents in an environment that encourages extraordinary member service, communication, and teamwork, we invite you to apply.